The beauty of finding a treasure chest is getting to delve into all the weird and wonderful items inside. 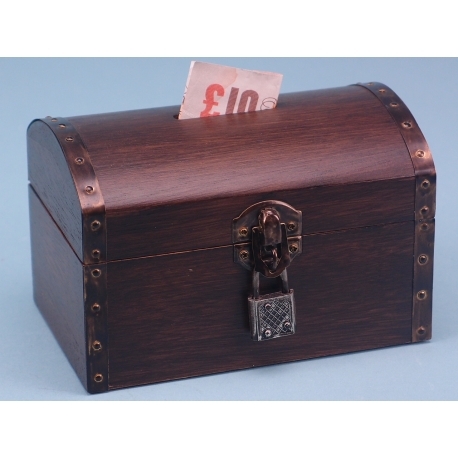 Well, this particular wooden treasure chest – 14 x 9 x 9cm would certainly not disappoint. The piece is designed for people who want to keep track of their pennies. 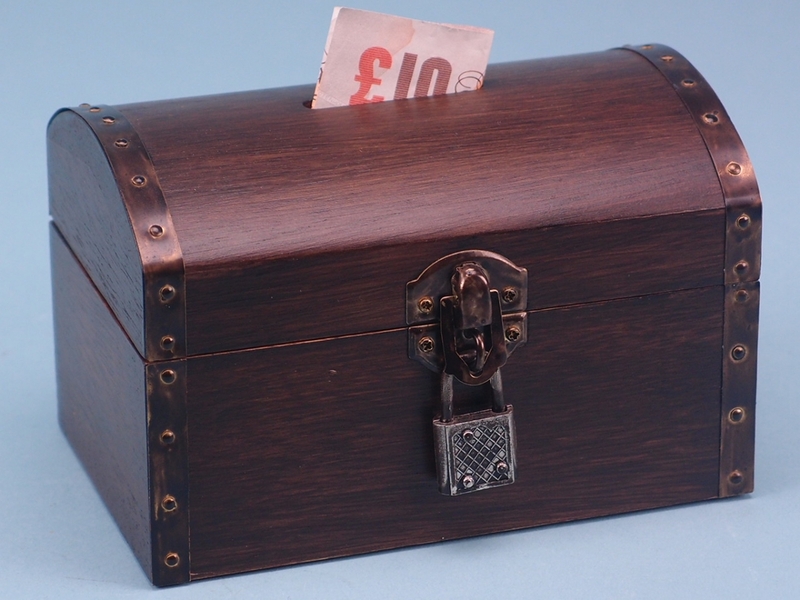 The chest acts as a moneybox but displays itself as the thing that pirates love to hunt for. This piece would be ideal for anyone who wants to save a bit of cash while also having a beautiful box to display. The treasure chest looks authentic thanks to the rusty padlock protecting the contents inside.